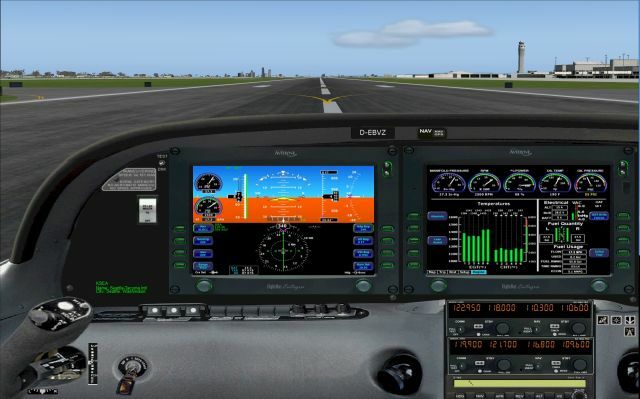 Having installed the avidyne gauges in some of the GA aircraft, in some the green bars shoot up whilst in others no sign of them. The aircraft they work in are the warrier8 and the Just Flight tomahawk. Even in the Flight1 172r no sign of them. I have looked in the engine section of the various aircraft and changed the max rpm and the HP. Having searched through various forums for an answer I am beginning to think it is only me having this problem. Any advice will be grate fully appreciated. Can you give us some screenshots of examples of the issue. This is the first time we have heard of it. 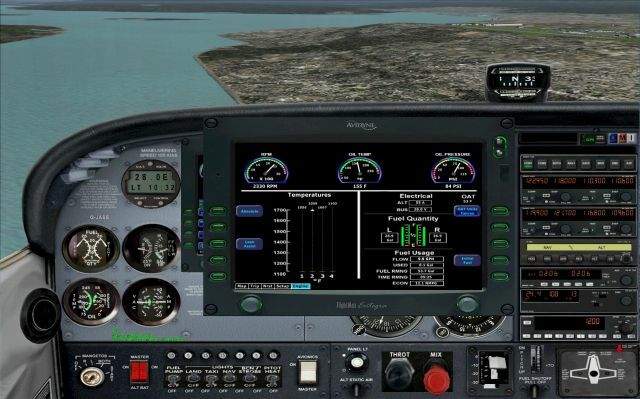 I have taken screenshots of the modified flight1 172r panel and the cirrus six panel. How do you post a screenshot into the forum as I have never did it? Okay, I'll see if dev can help with this issue. It might be a day or two for a response.